If you are looking for a city around the world that truly reflects the nation’s heartbeat, look no further than Dublin, Ireland. Everything about this gorgeous city reflects the typical Irish culture we all love and associate with the Emerald Isle. Of course, our short visit to Dublin meant that we had to embark on one of our stereotypical ’48-hour’ dashes to try and see as much as possible in such a short time. Let’s take a look at how we made the most of our 48 hours in Dublin. Hopefully, this guide will provide a little information on exactly the sort of attractions and landmarks you can expect to see regardless of how much time you have to spend here. Dublin is steeped with history dating back to the Viking era and of course the battle with the English and eventual independence. As you wander around this city, you will see remnants and memories of these historic battlegrounds and perhaps allows you to contemplate how this city and nation as a whole, has recovered and developed into such a popular destination for historians, culture enthusiasts, dining connoisseurs among others. Whether it’s taking a stroll around the Temple Bar neighborhood, or perhaps visiting the home of arguably the world’s most famous (and ‘best’) beer to sample a perfectly poured Guinness, Dublin is an iconic reflection that will not only attract you to Irish shores but inspire you to book a return trip in the near future. After visiting Dublin, I would strongly encourage you to allocate more time in this breathtaking city so that you can not only experience everything we recommend but also head out to some of the nearby neighborhoods and towns that are within reach of the city center. However, we realize that spending a week or longer while traveling is not always feasible, hence the reason for our quick-fire guide to Dublin in 48 hours! 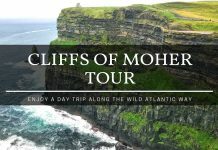 Developing any itinerary is very much dependent on personal taste, but just like most visits to a new city, we generally like to visit at least the top recommended attractions and landmarks. But let’s not forget those impromptu visits to back alleys and ‘off the beaten path’ experiences that allow you to fully embrace the real city you are visiting. Dublin was no different and thanks to Visit Dublin, we were able to experience a myriad of attractions that they recommended. If you are visiting Dublin, in addition to this guide, we strongly recommend you visit one of their tourist information centers to find more information. 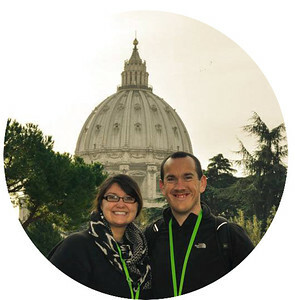 For those of you that only have 24 hours in Dublin, check out this great guide by Justin Plus Lauren who made the most of a short visit to the Irish capital! Don’t worry, there are still plenty of options because this is such a walkable city. 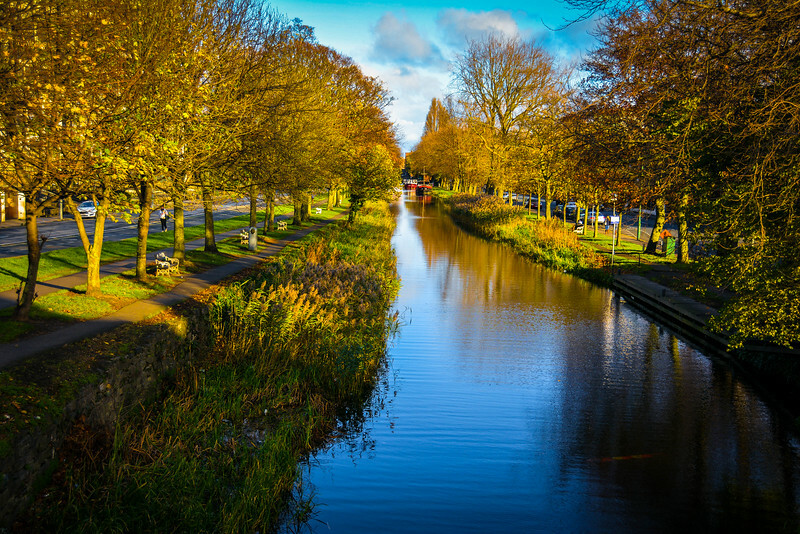 We stayed at the Doubletree Burlington Road hotel which was a short walk outside of the main city center, but allowed us to throw on our hiking boots and take a leisurely stroll to experience everything Dublin had to offer. 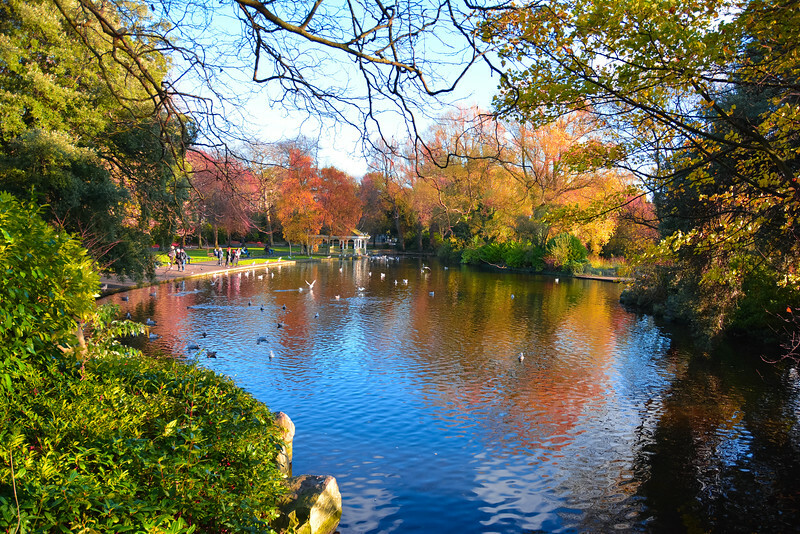 After crossing The Grand Canal, our first stop was St. Stephen’s Green which is Dublin’s equivalent of Hyde Park or Central Park. 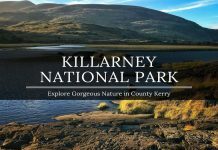 A hub for visitors and locals alike to relax away from the hustle and bustle of city life, this is the perfect spot to enjoy the gorgeous Autumn colors with a number of lakes providing a backdrop that will enhance any pictures taken here. 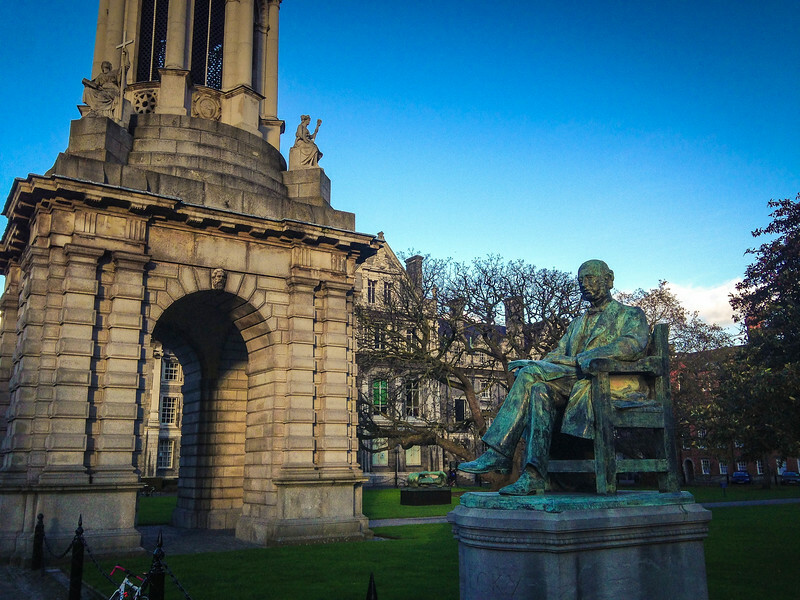 At the heart of Dublin’s rich history is the gorgeous campus of Trinity College. Globally renowned for academic excellence, this collegiate experience offers students from around the globe the opportunity to study a myriad of domains in a perfect mix of history and ultra-modern technologies. 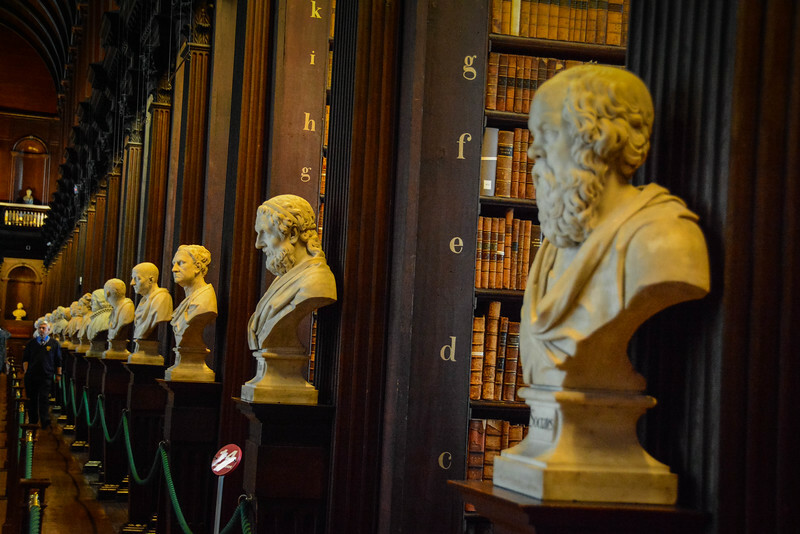 The campus itself is steeped with history dating back to the late 16th century, in particular the iconic Book of Kells which is one of Ireland’s most famous landmarks and of course the ‘Old Library’ which is a must-see attraction on your self-guided tour of the campus. 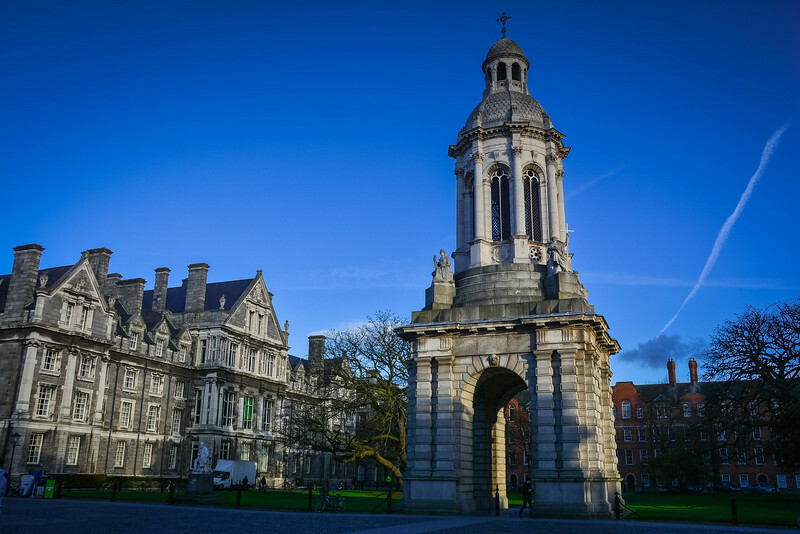 The focal point of the campus is the Campanile of Trinity College, also referreed to simply as the ‘bell tower’. 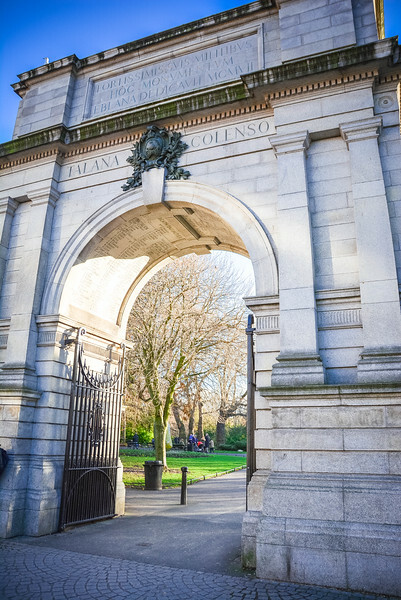 We walked through the main archway to the central campus and then started walking around taking in the rich history here, it’s a real sight to behold and one of our favorite memories from our short trip to Dublin. 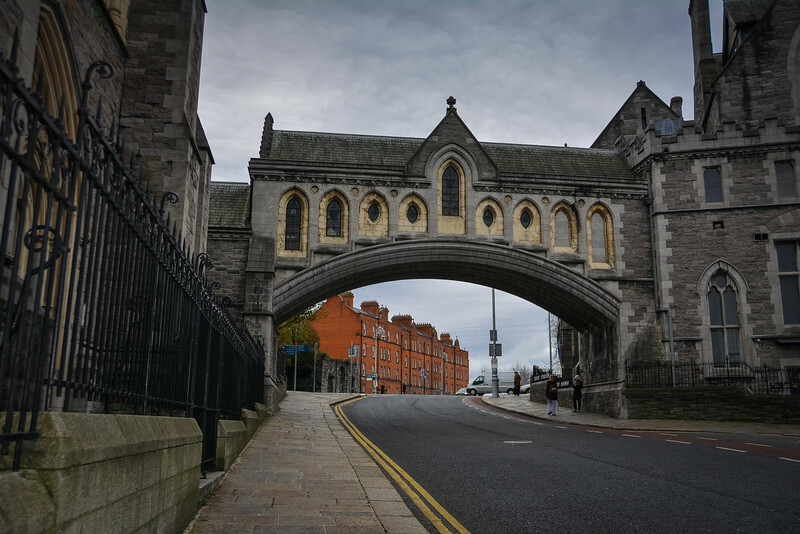 A short walk from Trinity College along the south bank of the River Liffey, known as the Temple Bar area, takes you to another of Dublin’s finest historic attractions – Dublin Castle. We arrived just in time for the final guided tour of the day, a hour long experience that takes you in and around some hidden spots that you wouldn’t be able to see if you simply visited on a self-guided tour. The tour is divided into three different sections as you are taken through the various eras of the castle. Much of Dublin Castle today is in ruins, but the medieval history dating back to the Vikings invading the city in the 9th century are still apparent in the South-East Record Tower which is the only remaining piece of the medieval castle that stands. 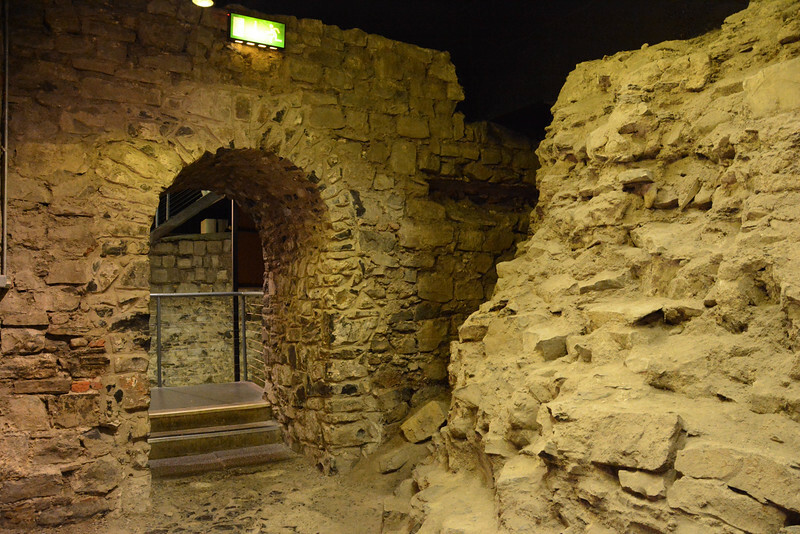 Our tour guide led us underground to show further remnants of Dublin Castle’s medieval past, and to this day the Liffey’s tributary, the River Poddle, still passes through underground and is viewable on this tour. 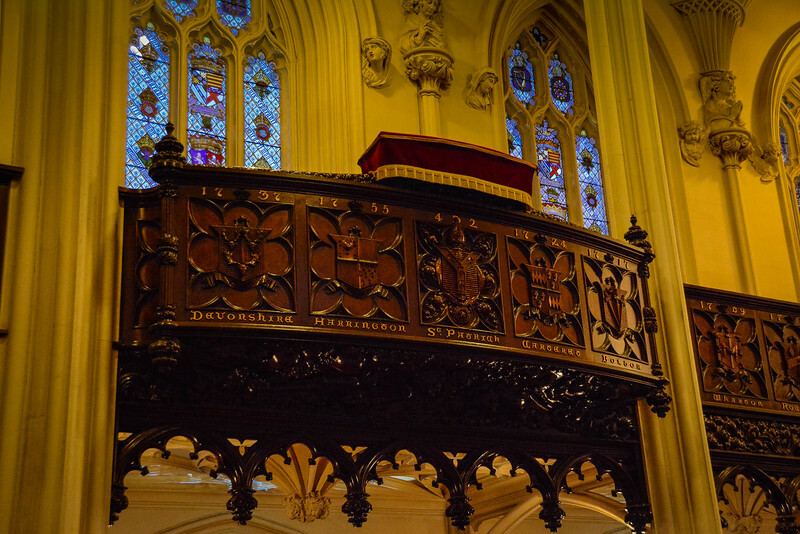 After a shortened version of the history of Dublin, we headed back outside and into the Chapel Royal which is a gothic revival inspired architectural masterpiece. 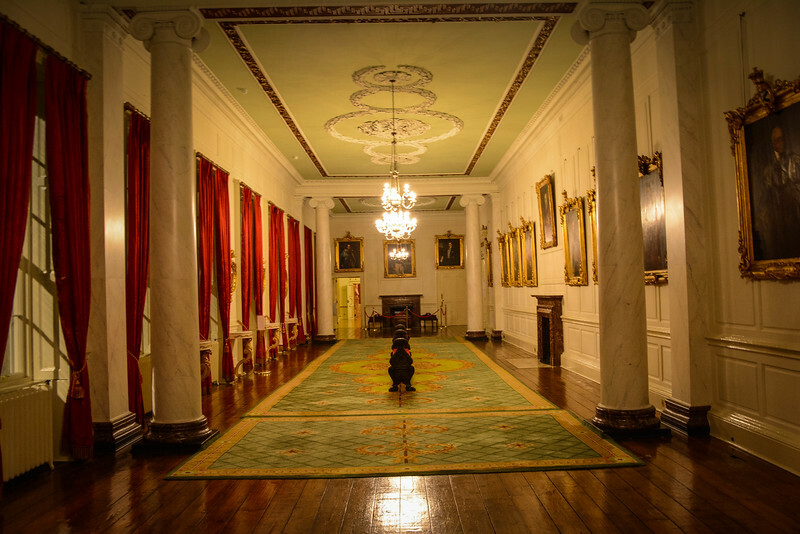 The final part of the tour takes us back inside the main part of the Castle to explore the State Apartments that are still used to this day for private functions and large celebrations, including the inauguration of the Irish president. Heading to Dublin for the first time, we were both excited about sampling some of the fine, local cuisine. We love visiting Irish pubs on our travels especially here in USA, so given the opportunity to finally experience the ‘real deal’ we were more than ready for it. But with so many amazing restaurants, bars and pubs to choose from, where do you start? We asked a couple of locals for their recommendations and immediately were told about O’Neill’s which was located around the corner and just a short walk from both Dublin Castle and Trinity College. O’Neill’s is the perfect setting especially if you are looking for the stereotypical Irish pub with plenty of nooks and crannies, gorgeous interior and a vibrant atmosphere to enjoy a pint of Guinness or sample the fine cuisine. The menu at O’Neill’s was of course all about Ireland. 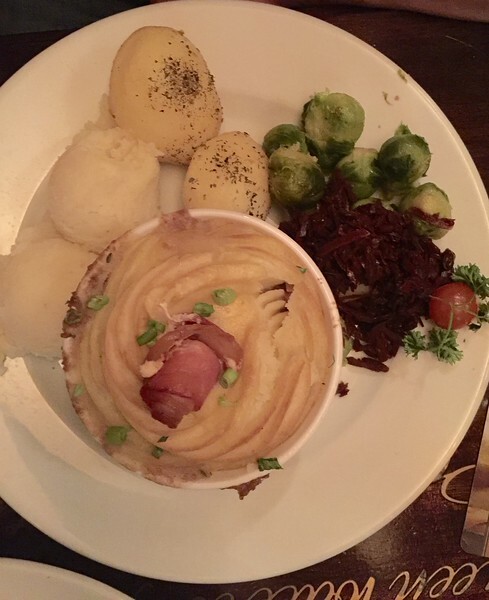 Forget burgers, pizza or hot dogs and think about traditional Irish stew, Shepherd’s Pie or even a full Irish breakfast at any time of the day. I opted for the Shepherd’s Pie and Heather chose the Irish stew and both were great options. The portion size provided great value for money and accompanied with a Shandy, this was a great way to end our first evening in Dublin. 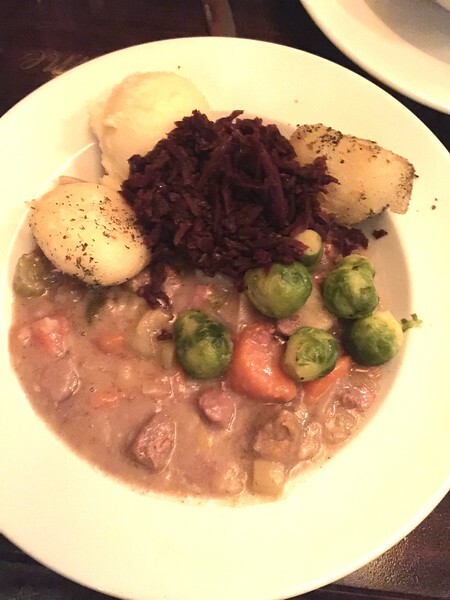 If you want Irish cuisine (and visiting Dublin, why wouldn’t you? ), look no further than O’Neill’s! Looking for a couple of alternative options? 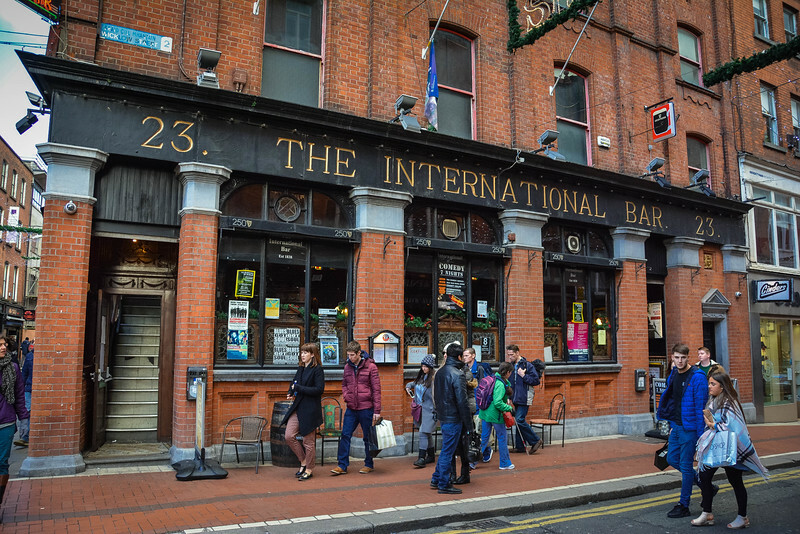 Check out this awesome guide on where to eat in Dublin! You can be sure to find something that will satisfy your appetite. Day 2 started with us rising early and heading into the city center to explore more of Dublin’s highly acclaimed heritage. 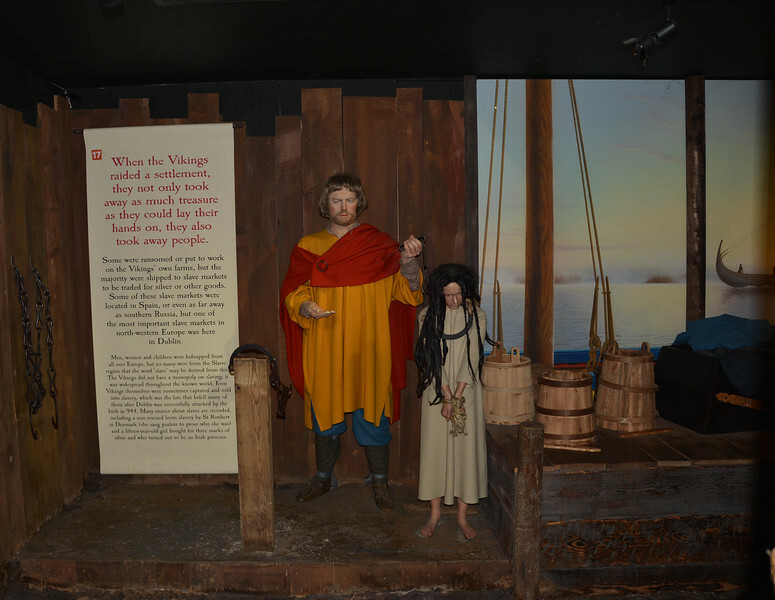 One of the best places to learn more about the Viking invasion and medieval history in Dublin is a museum called Dublinia. 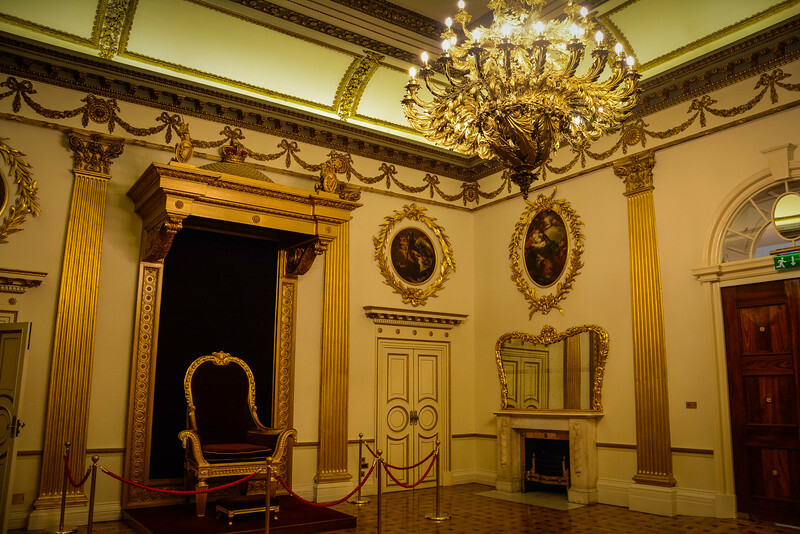 It provides a historical and unique reenactment of Dublin’s rich history and as you walk through a self-guided tour, there are a number of interactive experiences for all the family to enjoy. 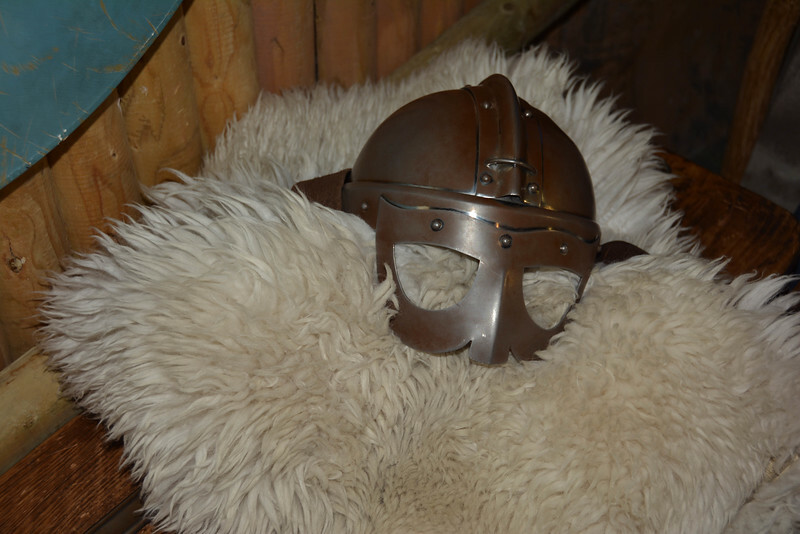 Try on Viking clothes or perhaps you would rather see what life was like on a Viking warship. All this and more are available inside Dublinia and you could easily spend a few hours here. 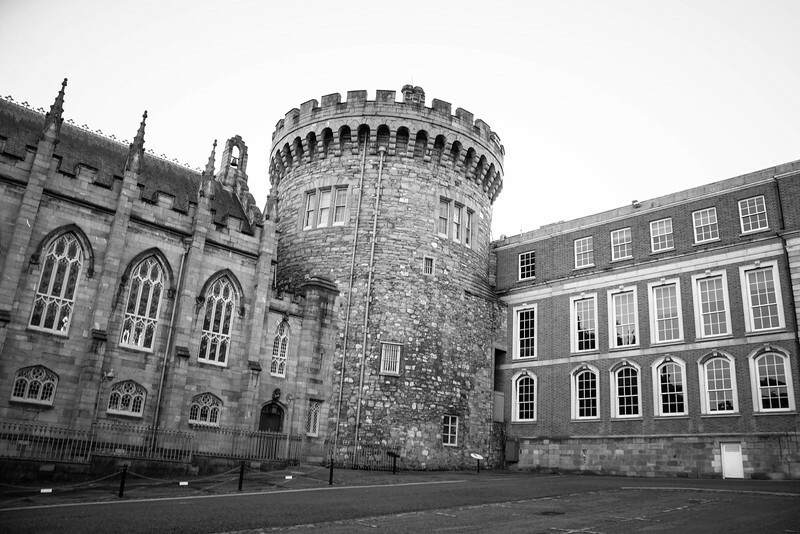 What better way to learn about Dublin’s history than by allowing yourself to be a part of the history too! 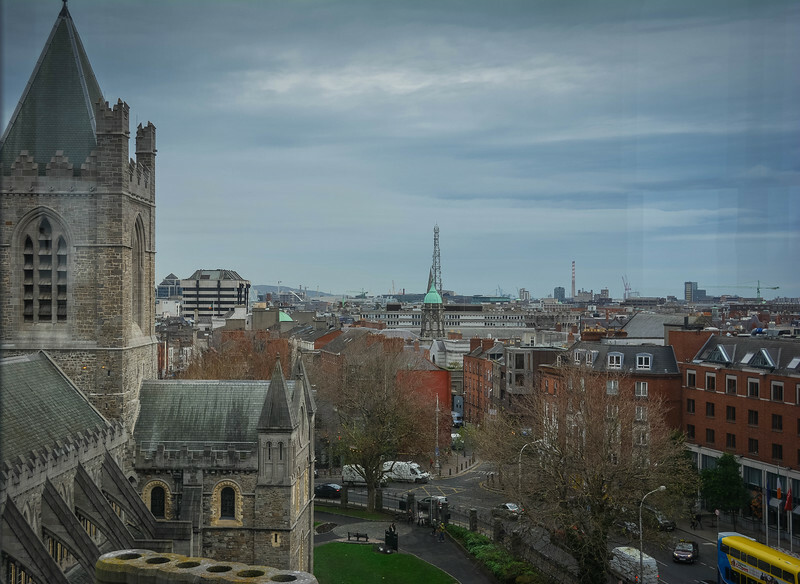 The tour culminates in St. Michael’s Tower, which is a late 17th century viewing tower providing gorgeous views across the city of Dublin and beyond. 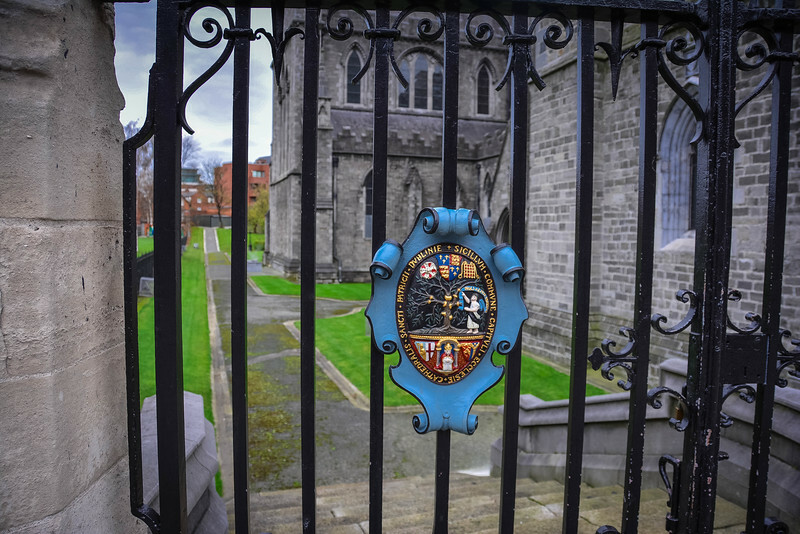 After a swift 96 steps, you reach the summit and admire Dublin’s fine scenery before walking out into the hallway of Christ Church Cathedral. 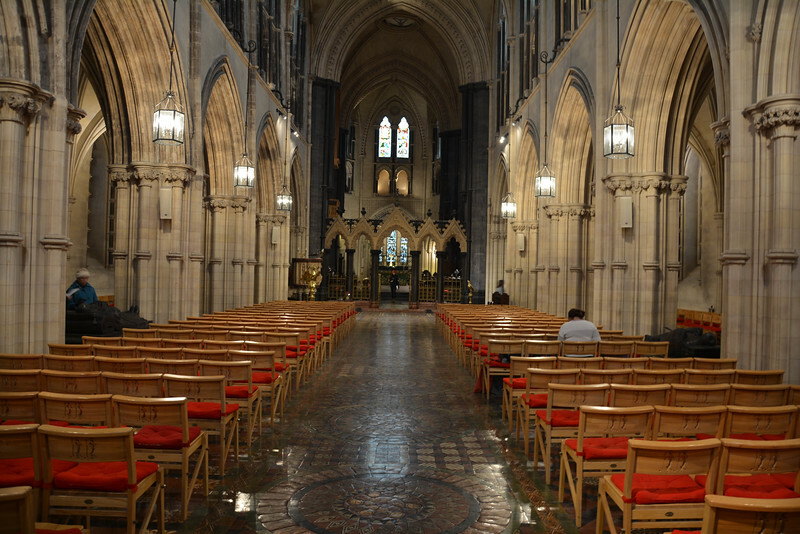 If you experience Dublinia, the exit from the gift shop leads you directly into Christ Church Cathedral. Founded in 1028, this breathtaking cathedral of the United Dioceses of Dublin and Glendalough is one of the most sought after attractions throughout the Irish nation. 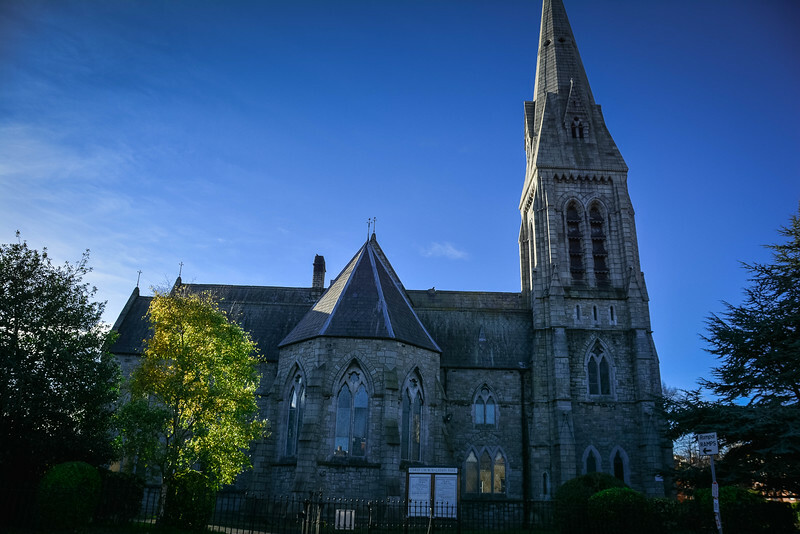 The exterior of the church is just as exquisite as the interior, though the ornate and intricate designs of the furnishings inside the church are what really set this aside from other cathedrals in Dublin. Much of the exterior still reflects the Norman English design though of course there has been much renovation here in order to preserve the originality and beauty of the cathedral. Do you appreciate architectural beauty? 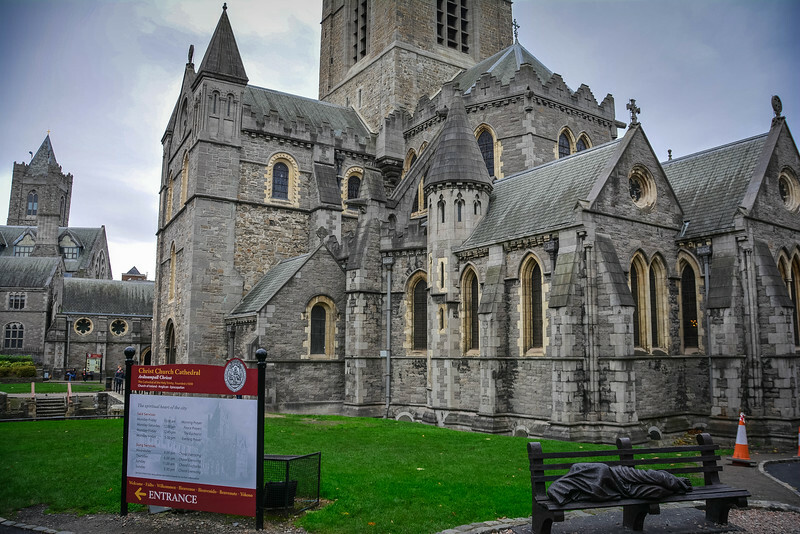 If so, Christ Church Cathedral is not only a must-see attraction in Dublin, it is probably one of the first places you will want to consider visiting. It’s landmark location at the brow of a hill ensures it is easily spotted from a distance and within short walking distance to a myriad of other iconic attractions. 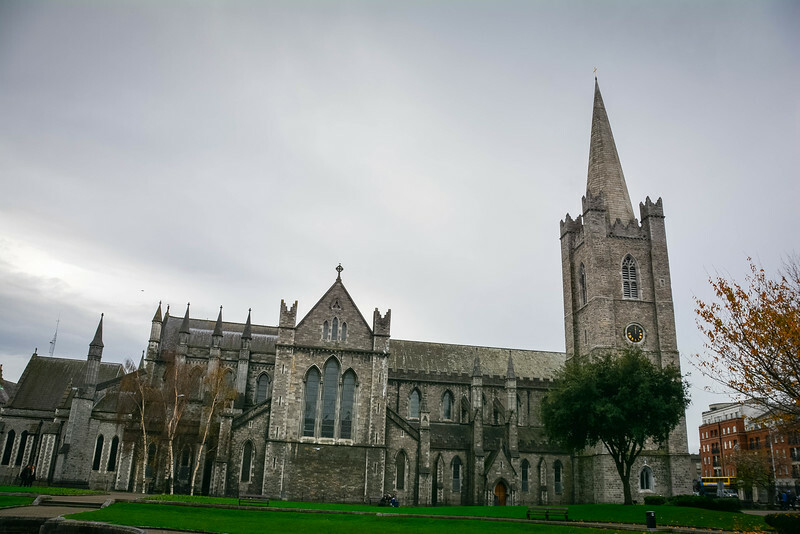 Although Christ Church Cathedral may be the most coveted and iconic of churches throughout Dublin, St. Patrick’s Cathedral can lay claim to being the largest. Dating back to it’s construction in the late 12th century, it also is the final resting place for one of Ireland’s most famous individuals – Jonathan Swift, author of Gulliver’s Travels. 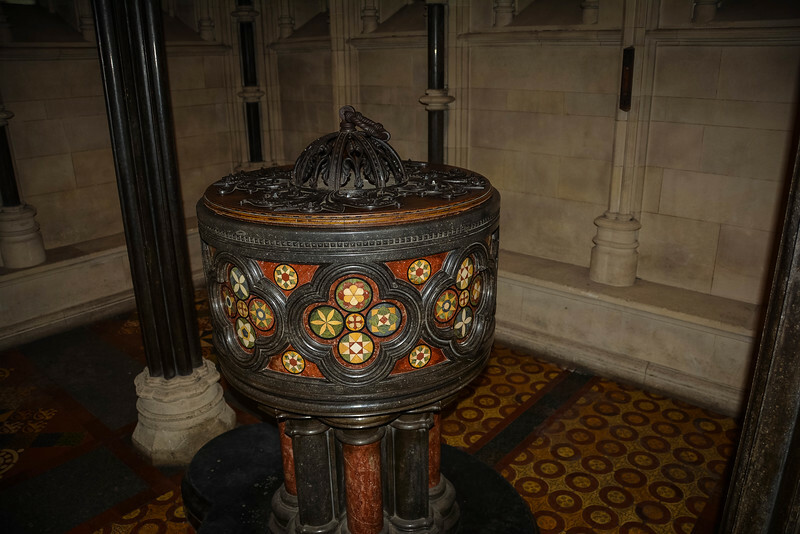 The ornate furnishings throughout St. Patrick’s Cathedral are truly spectacular and certainly some of the most impressive that I have seen in churches around the world. 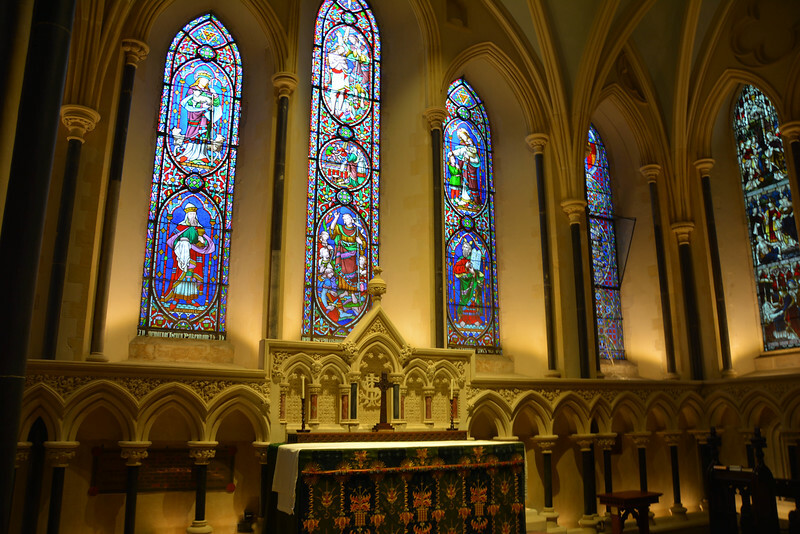 The stained glass windows in particular are a breathtaking sight. St. Patrick’s Cathedral may be full of ancient heritage similar to many of the other parishes in Ireland, but another intriguing aspect here is the ‘modern’ day and innovative use of interaction throughout the church. 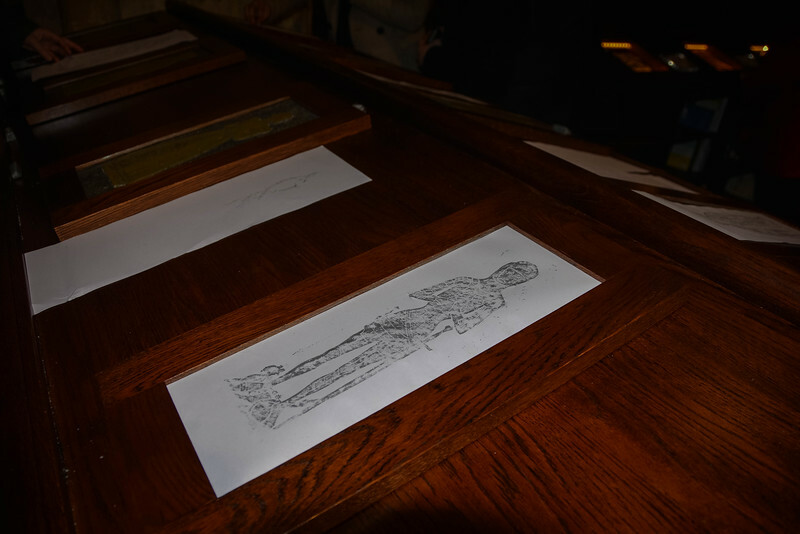 For example, visitors can experience brass rubbing here along with learning more about the history and construction of the Cathedral through iPads and other touchscreen displays. 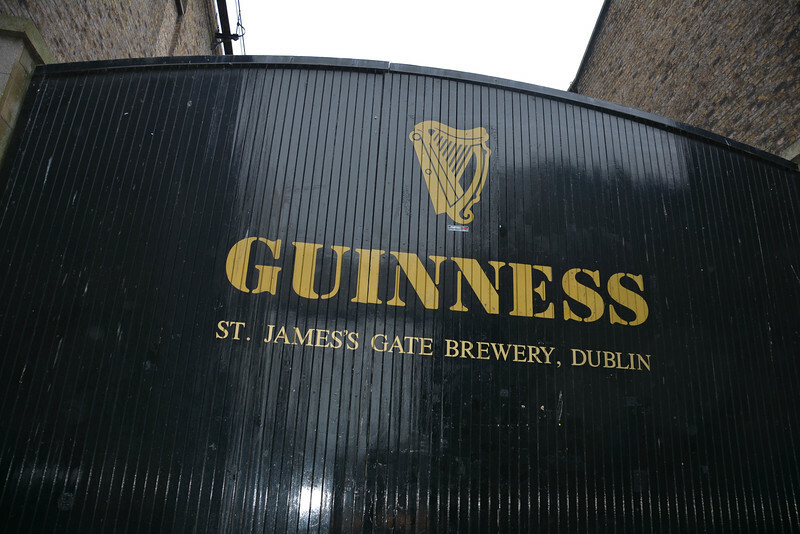 Our final stop on our intriguing tour of 48 hours in Dublin saw us venture to the imperious Guinness Storehouse for a self-guided tour of one of the world’s most popular beers. 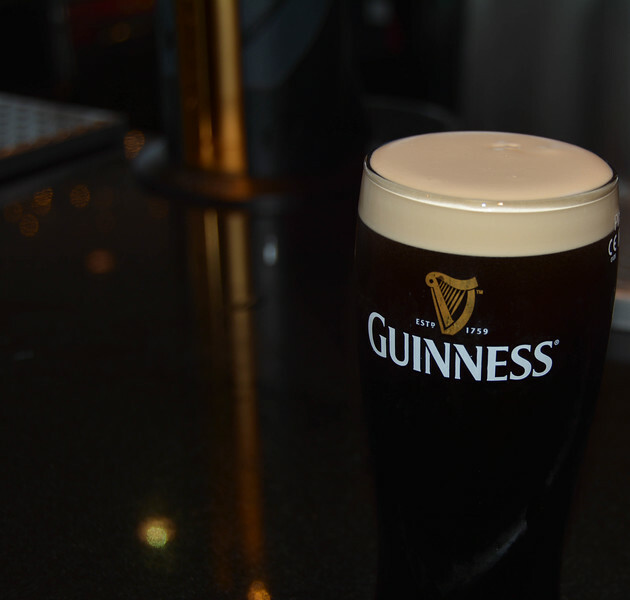 The tour itself offers a detailed history of this iconic beverage, but ultimately everyone is waiting for the end of the tour…your very own pint of perfectly poured Guinness served at the perfect temperature! 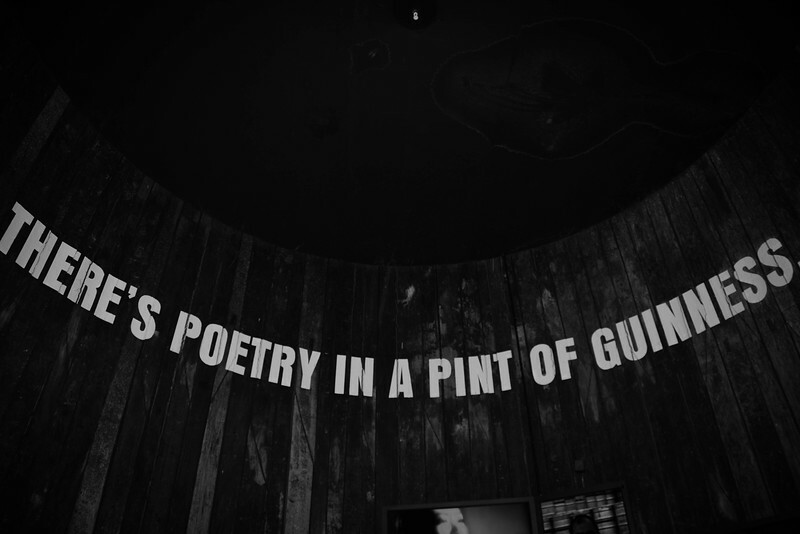 Experience this at the top of the Storehouse in the Gravity Bar while appreciating more stunning views around Dublin, or perhaps head to the fifth floor and learn how to pour the perfect pint. Either way, this is the perfect way to end your experience in Dublin. As they say in Ireland, sláinte (cheers)!! You may be surprised to hear that the Guinness Storehouse isn’t necessarily the best spot to sample Ireland’s finest beverage. Locals recommend visiting John Kavanagh (“The Gravediggers Pub”) as it comes with a fine reputation for having the best pint of Guinness in Ireland! 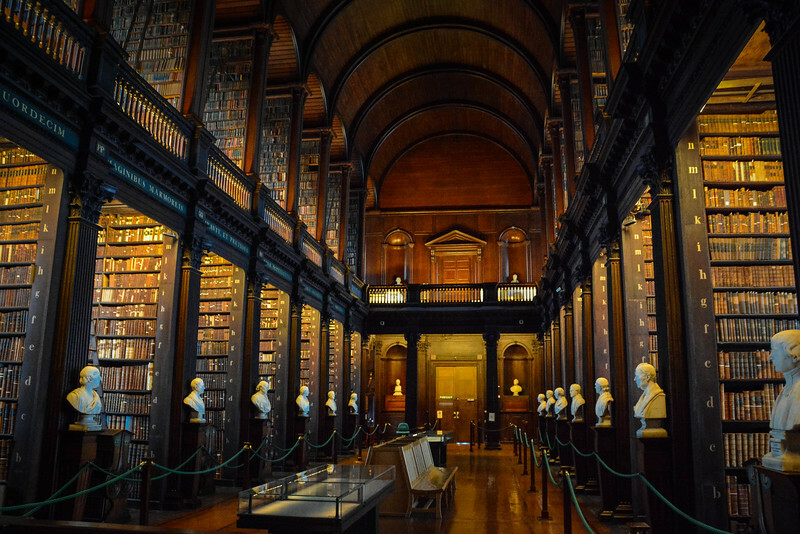 If you are interested in hearing a couple more fun facts, check out this post by Valerie and Valise on curious things about Dublin. 48 hours in Dublin is ultimately not enough time to see everything this beautiful city has to offer…in fact some might say this length of time is just a tease as it gives you enough time to see some of the most iconic attractions yet leaves you grasping for more! With so much history to uncover and Guinness to drink, Dublin has quickly risen to near the top of our favorite cities in the world. We already can’t wait to head back there and see what the Emerald Isle’s capital has in store for us! Disclaimer – We would like to thank Visit Dublin for providing information and assistance on this trip. These are solely our personal opinions/experiences and we were not financially compensated for this post. 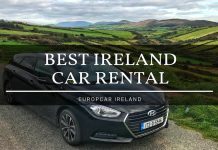 We spent a long weekend in Dublin in May and could have definitely benefited from a guide like this while we were planning our trip! We probably did about half of the things on your list and did some more different things so it just goes to show how many things there are to do in Dublin! I’d like to add that Kilmaheim Gaol in Dublin is a informative stop that gives some context to the history of Ireland – the guided tour at the Gaol and the whole experience is so interesting. Also, if you have time, a day trip out to the archaeological sites of Tara and Newgrange are amazing. Newgrange is a passage tomb (and UNESCO World Heritage Site) that is 500 years older than Stonehenge and the Pyramids of Giza! We are heading to Dublin for Christmas this year, hosted by some Irish friends. Your photos are making me excited to explore Dublin again! Really good information here would have to chime in on if you get a chance to visit Newgrange it is breathtaking. I would also add a visit for lunch to the Boxty House in Temple Bar a real treat those boxty fries are totally addictive.